Dropil’s goal is to offer everyone the opportunity to invest in cryptocurrency. 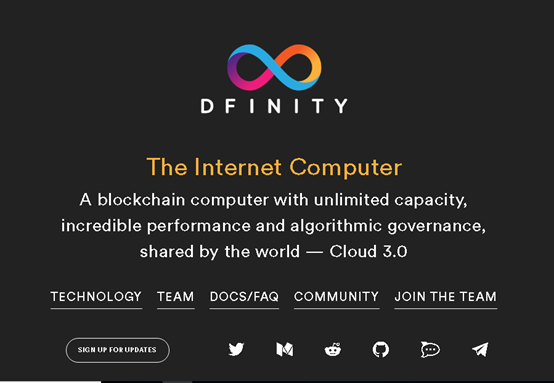 It does this with a turnkey platform, Dex, that offers multiple benefits to users to simplify their cryptocurrency analysis, trading and storage. 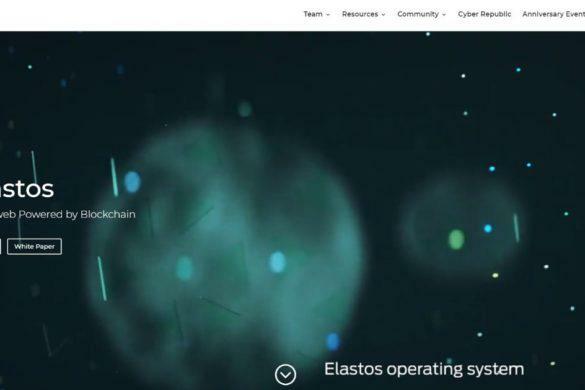 It does this while offering a number of safety nets to prevent loss to the user via its Control Center, which is managed by human oversight to maximize portfolio performance. 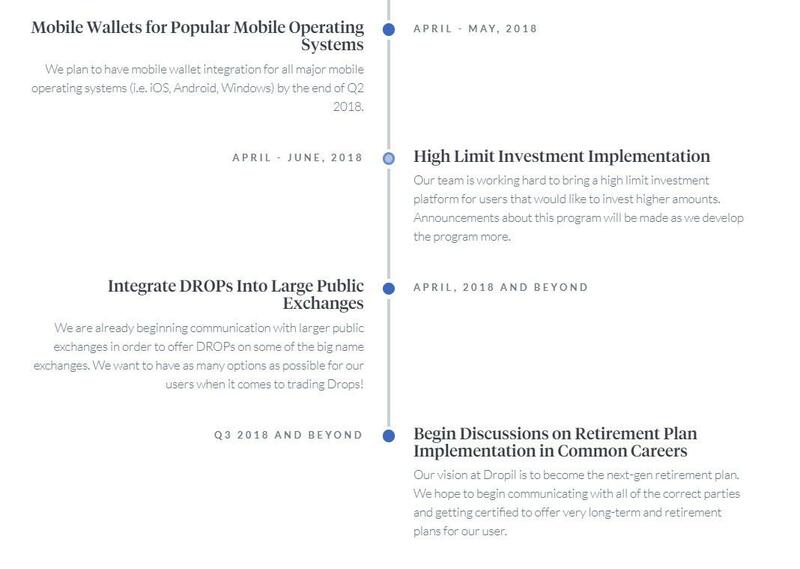 Dropil was developed with the intention of delivering a platform to the masses that would assist investors in receiving solid returns with minimal investment, in a manner that would provide financial and security benefits with low friction. 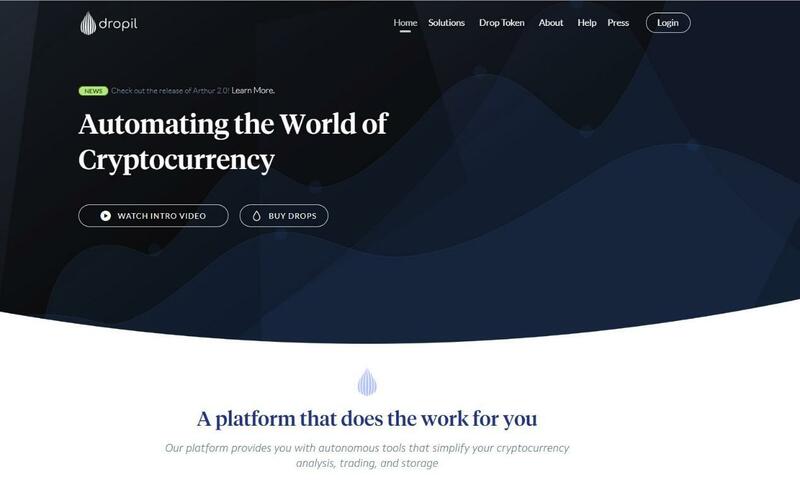 Dropil’s trading platform, Dex, is an automated investment platform that relies on an algorithm to manage risk while at the same time ensuring privacy. The platform eliminates the need for human intervention as well as the need to be involved with multiple products. In addition to the benefit of stress-free investing, Dropil allows the withdrawal of funds at any time, with simple reporting rather than obscure analytics, and most importantly, the free use of the trading platform. 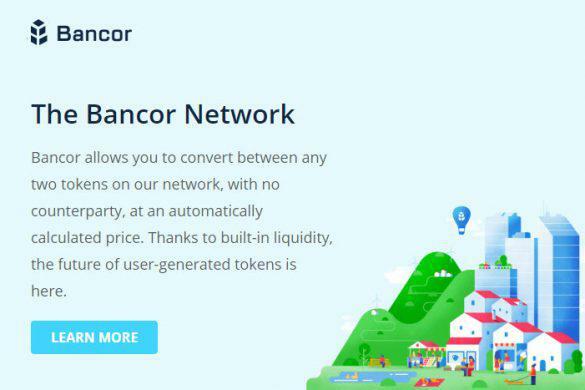 Instead of having to pay transaction or management fees, users purchase DROP tokens. The tokens are expected to increase in value, and advice and information about Dropil is always available through their Telegram community. 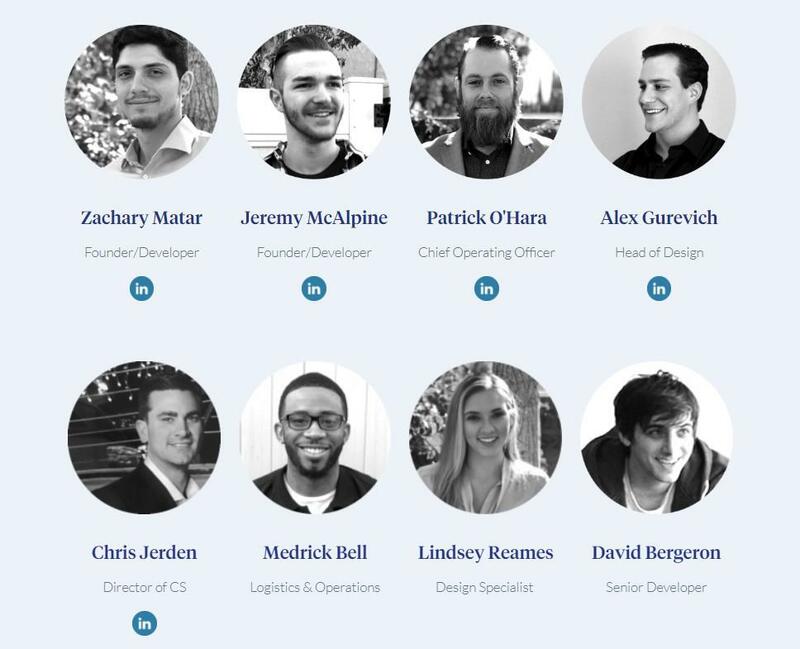 Dropil has two co-founders, Zachary Matar and Jeremy McAlpine, who currently have development roles in the company. Before Dropil, Zachary worked as a systems analyst and programmer at Transamerican Auto Parts (TAP), where he was the lead developer for a responsive Cash Drawer Deposit replacement application used in over 70+ stores nationwide. He also designed and programmed a responsive online application for processing invoicing and ERP integration. Jeremy previously worked as a lead software engineer for VoltWP LLC, a company that provides WordPress hosting, management and development to businesses. He was also a relationship manager for Paysafe Group, a leading global provider of end-to-end payment solutions. Patrick O’Hara is the current COO, also with experience at Paysafe. Although the team is global, it is based in California, which gives them access to the best talent and resources in the world. Dropil has not announced any partnerships on their website or in their social media, and their funding is completely private. It believes that this helps them stay focused on their goals and create a product that is truly theirs. Dropil’s ICO was in February of this year, and the initial price of Dropil’s token was $0.005. It rose to $0.007 in June, after it announced that it went live on the IDAX Exchange. The token price has stayed fairly steady since its launch. At the heart of Dropil’s technology is the automated smart trading robot platform, Dex, designed to make trades based on learning algorithms developed in-house. Through these algorithms and a number of proven bot trading strategies it has brought impressive returns. The Dex system has a number of components that are controlled together by a Control Center that swaps logic in real time. Dex uses a polling approach for logic server stacks. 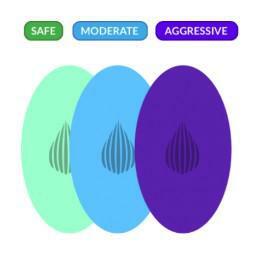 In other words, users with a similar mode or risk type contribute to and receive returns from that mode’s pool (a safe, moderate, or aggressive pool). This means that traders have a unique advantage in both the safety of their returns and the ability to have maximum diversification of opportunities. Traders no longer need to wait for particular positions to open or close to net profit, or trade at margin. The different risk modes are powered by different logic servers that allow automatic switching of strategies as the market changes. Although individual instances function independently and have no need for cross communication, all transactions are recorded in the Dex System for future analysis of all trading. Human oversight still manages certain aspects of group logic to deliver optimal portfolio performance. Each instance is independent, meaning it trades only one pair, on one exchange and one account at a time. However, there are always multiple instances running at any time. Bots are responsible for the security and safety of Dex and trading which include automatic and manual protections that are in place for issues relating to APIs, connectivity, exchange and operating system issues. 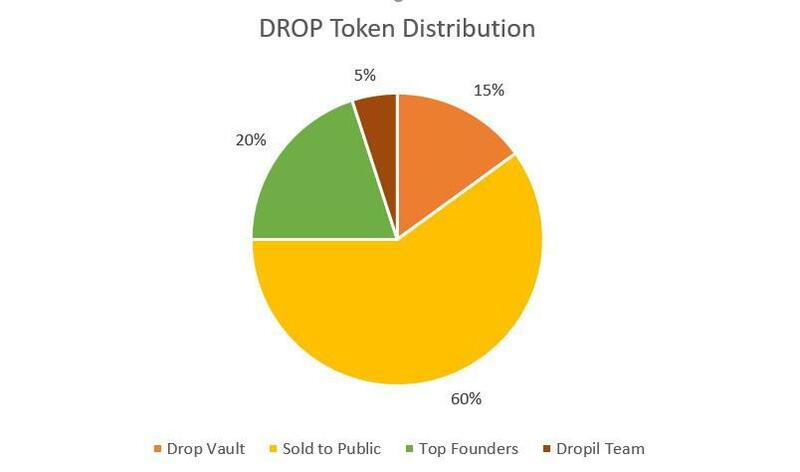 Dropil’s tokens, DROP, are an ERC-20 utility token, allowing access to Dropil’s tools and services. 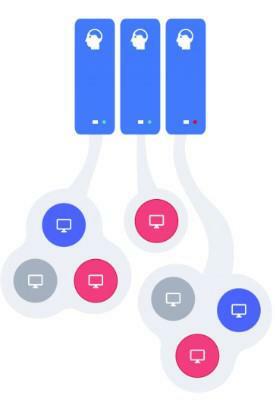 The low cost of entry and the need to use DROP to access the services and tools of Dex is aimed at driving mass adoption of the token as well as encouraging demand. The total number of DROP tokens will be 30 billion – no more DROP tokens will ever be minted. This should prevent future inflation of the token. After the ICO, Dropil executed an audit on all purchases and balances of DROP tokens to validate and check them for accuracy. Tokens that remained after this audit period were destroyed or distributed (DOD) and permanently deducted from the total supply. To assure additional security, DROP tokens are publicly recorded and trackable using tools like Etherscan. Arthur Arbitrage – Arthur is a system that lets users discover arbitrage opportunities. This system was released in July. Dex System – DROP tokens in the Dex system allow control over the volume of assets managed by the smart trading algorithms. Droplet Wallet + Max – DROP tokens are used to power the smart features of the wallet, which include an assistant bot – Max. Holding and Trading – Users can exchange their DROP for whatever currency they like at various exchanges. 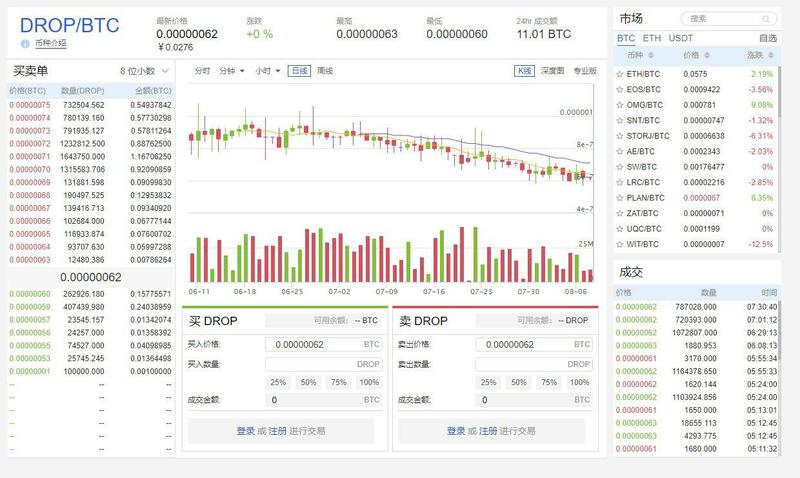 The main exchange for purchasing DROP is on IDAX, which currently has the largest volume of the currency at over $114K. DROP can be traded on IDAX for ETH and BTC. Dropil can be stored in any wallet that supports ERC-20 tokens such as Coinomi, MetaMask and MyEtherWallet. For maximum security, however, you should store your Dropil on hardware wallets such as Ledger Nano S.
Dropil has an extensive roadmap outlined on their website. The company has accomplished quite a lot in a short time since its ICO in February. In March, it successfully integrated DROPs into small public exchanges and is working to continue to expand the selection of exchanges available to users. In April and May, the company announced mobile wallet integration for all major mobile operating systems (iOS, Android, and Windows). In the future, it plans to integrate DROPs into larger exchanges, and its long-term goal is to become the next-generation retirement plan for users. 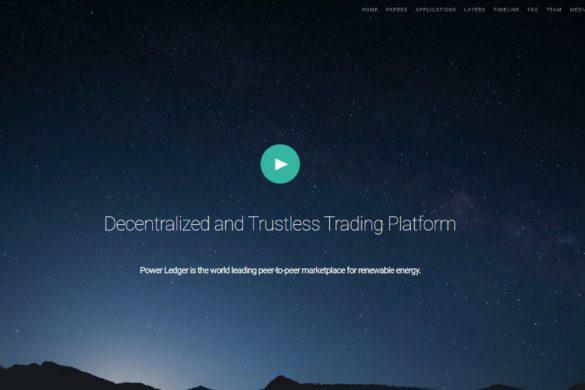 In July, the company announced Arthur 2.0, a tool for tracking arbitrage. Dropil boasts 65 million users in the system, 45,000 user wallets and 75,000 active Dropil users.